Ninja of the Woods is back with another episode. This is part 2 in a three part series about haunted objects. 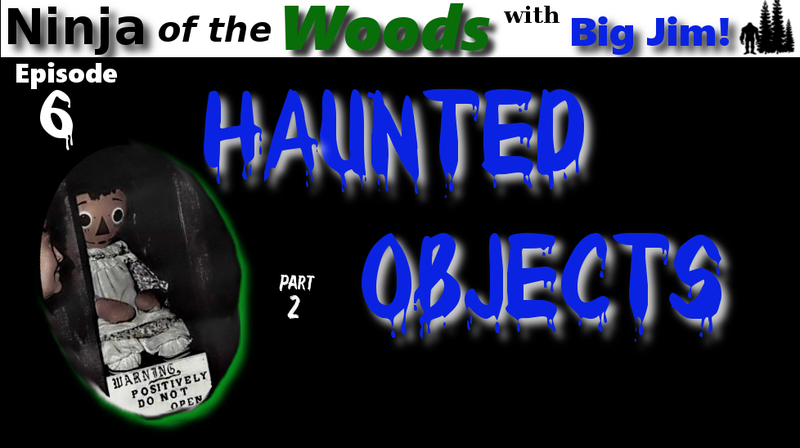 In this episode Big Jim actually tells us about 2 famous dolls that are reported to be haunted. The history and stories behind these two haunted dolls is pretty interesting and I'm guessing some do not know about it. While both dolls may have had humble beginnings, things sure changed. Here is the episode, we hope you enjoy it. Look for part 3 in this series about haunted objects in the near future.